Qosina carries over 90 compression fittings in various sizes and configurations. 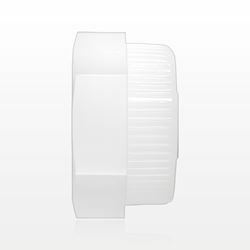 Individually packaged in a cleanroom, they are available for tubing OD connections in 1/8, 1/4, 3/8, 1/2, 3/4 and 1-inch sizes. Configurations include straight, elbow, and T, with or without NPT threads. Accessories are also available, including ferrules, nuts, and plugs. Furon® Grab Seal™ compression fittings are made of High Purity PFA, PVDF, PTFE, and ETFE. 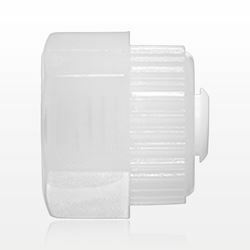 These Furon® Grab Seal™ compression fittings offer PFA purity combined with a robust compression style fitting, and are ideal for gas, pneumatic and fluid connections in applications that require an alternative to a barb or bond connection. Once tubing has been cut to the desired length, the simple design allows for ease of installation and requires no tools. They also withstand temperatures up to 212˚ F (100˚ C). 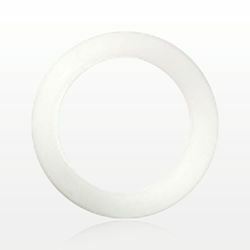 Qosina also offers FEP (Pharmafluor®) tubing to fit your project needs.